Not sure of where to start. 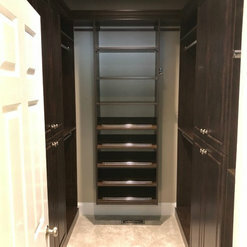 I had several consultations before choosing to move forward with Angie’s Custom Closets and there was one thing that really stood out for me - service. Joan was warm, friendly, attentive, on time, and patient. Hands down, she is truly a top-notch partner in custom design and that’s not just for closets. The installation was also awesome and the area was left clean. 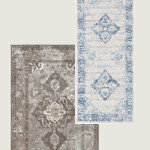 We are now moving on to another design project with Joan and we’re so excited! Loved every aspect of our project - from meeting with Joan, her ideas for our laundry room, to the timely and polite installation. There is no question that we'll be using Angie's again - we have plans to have them do our garage, and we'll be having them organize every closet in our house. I highly recommend them! Thank you Jessica. Looking forward to our next project together! I think the picture speaks for itself, but our new closet is absolutely gorgeous. 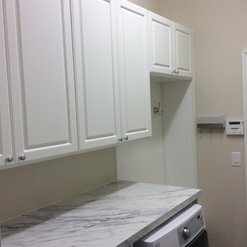 It completely transformed the space from plain builder-grade wire racks into something sophisticated and classy. 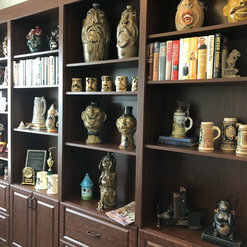 My husband says he feels like he is living in a celebrity house. LOL. Joan and her team took good care of us. I love all the organization, everything has a place! Katherine -- thank you! Honestly, you are a pleasure to work with. You were completely prepared with a vision -- made my work easy. I highly recommend Angie's closets. Joan did a great job designing our closets, one a square box I thought was impossible but totally functional now! The Wolfe team was so accommodating with our move, even coming on a Saturday to help us get settled in. Thank you Joan and David for a top-notch job!! Joan was FABULOUS to work with! I had a specific budget I needed to work with while filling specific project needs. She paid close attention to details that other company reps missed. She listened to my ideas, added her input, NEVER tried to upsell me; there was no "smoke and mirrors"; simple straight forward pricing. I wish all of the contractors I have to work with were this great! Kathie! Thank you for the review. YOU brought great ideas and detailed needs to the design process making it easier for me! 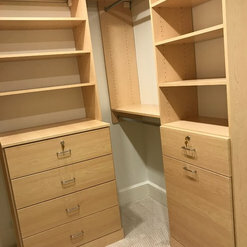 I am so thrilled with my new closet. 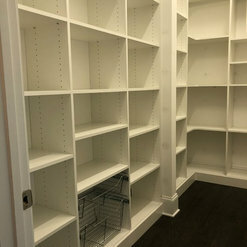 Angie's Custom Closets did a fantastic job! They were extremely professional. 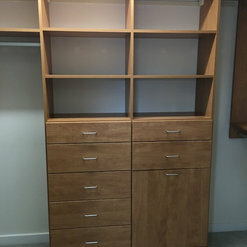 The closet is such high quality and very well made. Thank you for the review, Lori! So glad we brought some zen to your closet. Joan was a dream to work with and she had good ideas for my master and linen closets. The installation was quick but careful. I love the product! Thank you Madelon. It was a pleasure to work with you and always nice to collaborate with Gary. We had Angie's closets do one of our master bedroom closets shortly after we moved in. 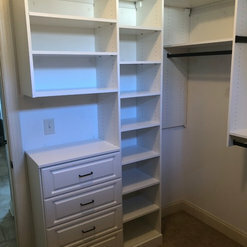 Joan was wonderful to work with and I love my new closet system. We are planning to have my husbands done shortly since we were so pleased. 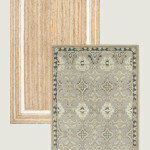 Prices are best around we found and product looks great. It's guaranteed for life too! Looking forward to seeing your husband's finished closet next week! Thank you for the review Tricia. 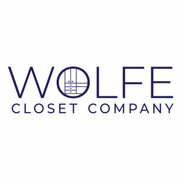 Excellent customer service and creative ideas for our master bedroom closet and linen closet! Joan was wonderful to deal with. Quality installation with no issues at all! We will definitely use them again for our pantry. I looked around to do something myself and considered a lot of the pre-configured systems. Angie's was recommended to me to maximize our space. 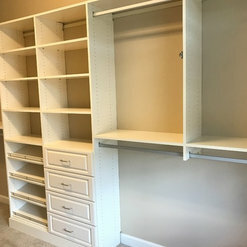 I have now had my closets completed by them for 5 months and could not be happier. 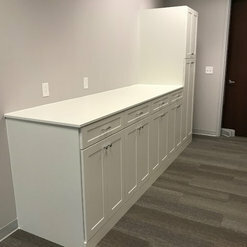 The prices was reasonable compared to many other professional quotes and I could not be more pleased by the quality of materials and the customer service and cleanup that was provided. Joan with Angie's Custom Closets & More was fantastic! 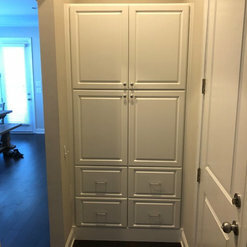 She listened to what we needed and wanted and came up with a great solution for an oddly shaped Master Bedroom Closet! We were thrilled with Joan and Angie's and would recommend both without hesitation!! Thank you Rebecca! 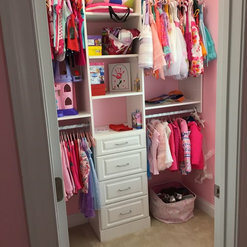 All your fabulous clothes and shoes needed a custom closet. They are very professional and informative. I had a thought but Joan came wother her designing skills and helped bring it to life and really utilize the space.We felt that we got our money worth and then some! Look forward to using them again! They out beat any competitors trust me! 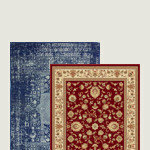 I told them the price range and gave my ideas and we came to a decision that everyone was happy with and great quality. I don't have a bad thing to say. Traminka, thank you for this thoughtful review! 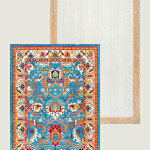 It was a joy bringing closet zen to your family and home! Commented: Hello. 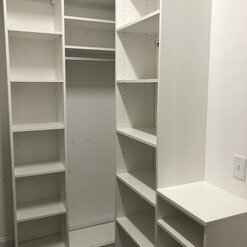 Approx how much did this project cost for this closet?Hello! This project was approx $3200 in the lovely chocolate finish. Prices vary depending on finish.